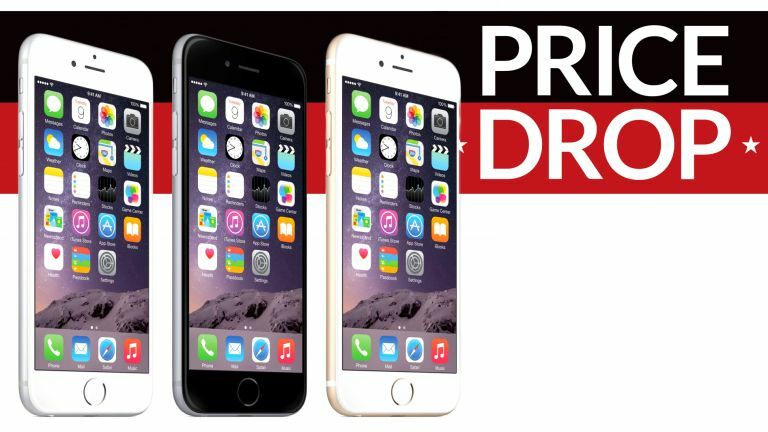 'Tis the season for heavily discounted iPhones! Christmas is only three weeks away today. If you're looking for some last-minute gifts for friends and family, you'll be pleased to learn that Tesco Mobile has unveiled a range of affordable iPhone deals to fill your stockings. Until Boxing Day, Tesco Mobile is offering up a range of iPhones with reduced price tags to ensure you get into the Christmas spirit. Top of the bill is an iPhone SE deal with 500MB of mobile data, 5,000 minutes and 5,000 minutes for £12.50 per month. It's worth noting that Tesco Mobile only offers the iPhone SE on a 36-month contract, which is longer than most contracts. That brings the total cost of the contract to £450, which isn't much more than the £379 SIM-free cost of the 32GB iPhone SE model when it launched last year. Tesco Mobile customers looking to spend a little more can bag an iPhone 6 with the same mobile data and text message allowance for £15.99 per month – a real bargain for that price point. That's a saving of £54 compared to the usual price. Like the iPhone SE, this is also a 36-month contract. However, it's worth pointing out that while Tesco Mobile contracts aren't snappy by any stretch of the imagination, they do offer greater flexibility than most rival providers. With Tesco Mobile, you change your mobile data, handset and length at any time – as long as you're willing to pay the difference in monthly cost. Tesco Mobile is also partnered with O2, meaning you'll get O2's brilliant coverage. The network offers rewards for families' who pay together in a single monthly bill. If you're not a fan of the ever-increasing size of iPhone displays, this is easily the best handset available to you. The iPhone SE keeps the same four-inch screen as the iPhone 5 and iPhone 5S. Tesco Mobile has slashed £81 off the total price of the contract – making this a great buy for anyone in the market for an iPhone SE. The Apple iPhone 6 might be a little long in the tooth, but it's still a solid handset and should have more than enough firepower for most people. Tesco Mobile has slashed £54 off the total price of the contract to make this a very appealing buy.